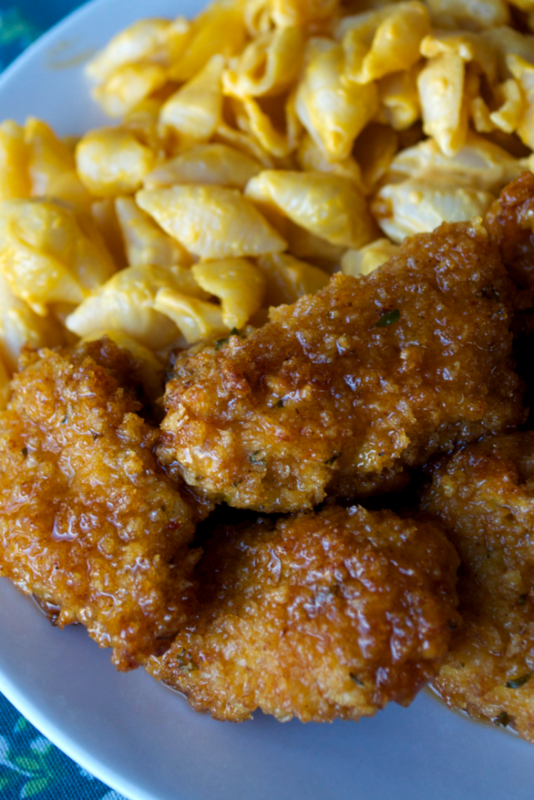 Our friend Emilee recently made these Sticky Buffalo Chicken Tenders and shared the recipe with us for you. While I don’t eat chicken anymore, her family loves this easy recipe she adapted from Creme de la Crumb. We switch up a few things to make this more Weight Watchers friendly. Her family loves this recipe and asks for it often, so I am sure your family will as well! Emilee says her family loves these because they already are in love with Wingers Sticky Fingers. Since I have never even heard of this restaurant before so wasn’t sure what to expect. 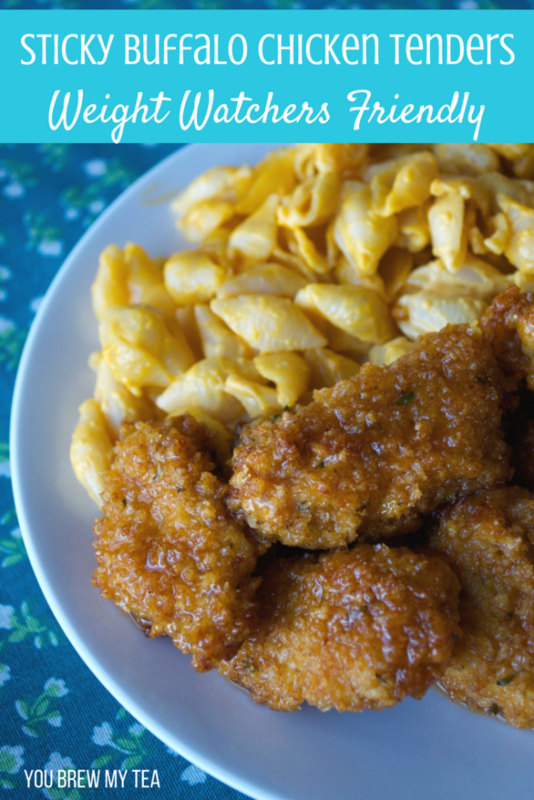 After checking out the recipe she shared and seeing the pictures, I am pretty sure this one is going to be a favorite buffalo chicken tenders recipe for many! Preheat oven to 425 degrees and spray a baking sheet with non-stick cooking spray or line with silicone baking mats. 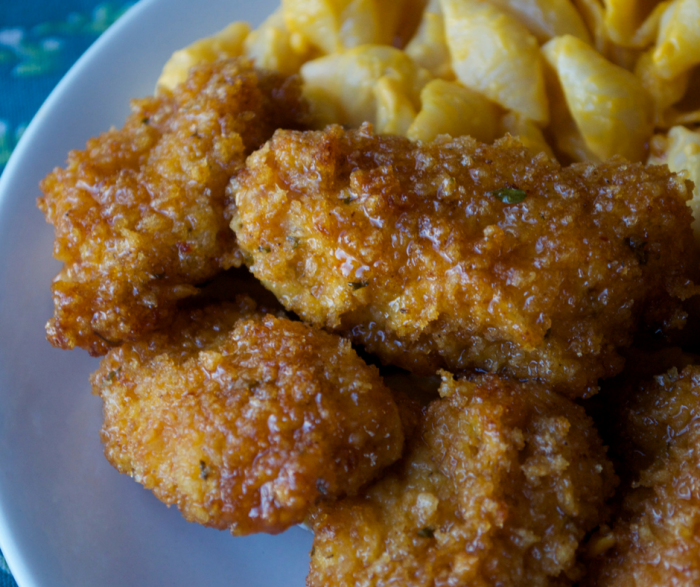 Cut boneless skinless chicken breasts into strips or chunks (we find chunks hold coating better). Add the chicken into a large Ziploc bag that contains just the flour. Shake to coat. Place Panko breadcrumbs into a shallow bowl. In another shallow bowl, whisk eggs until combined well. Dip flour coated chicken into eggs, then into Panko breadcrumbs to coat. Place coated chicken on the prepared baking sheet. Spray tops with non-stick cooking spray. Bake for 15 minutes for nuggets or 20 minutes for strips or until chicken is browned and cooked through. While chicken is in the oven, you will make your sauce mixture. In a medium saucepan, bring the brown sugar, garlic powder, water and Frank’s red hot sauce to a boil. Remove from heat and stir well. When chicken is cooked through, remove from the oven and toss with sauce. This will just coat the chicken. In a medium saucepan, bring the brown sugar, garlic powder, water and Frank's red hot sauce to a boil. Remove from heat and stir well. This recipe is a great hit with the whole family, and you could easily adapt the sauce to your preference on the heat. While we prefer Frank’s Red Hot Sauce, you can use any hot sauce or buffalo sauce for this recipe. We also recommend serving with a low-fat bleu cheese or a healthy ranch dip sauce. 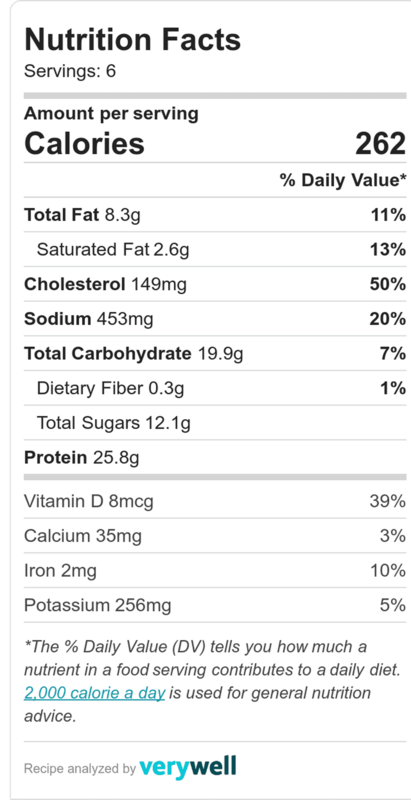 We love our Healthy Ranch Dip since it is only 1 SmartPoint per serving or Zero points on the Freestyle or Flex Plan. Emilee served this with a side of macaroni and cheese, but you could easily add this to a nice side salad or any favorite side dish. The best part of this recipe is that you can make it work for your dietary needs! 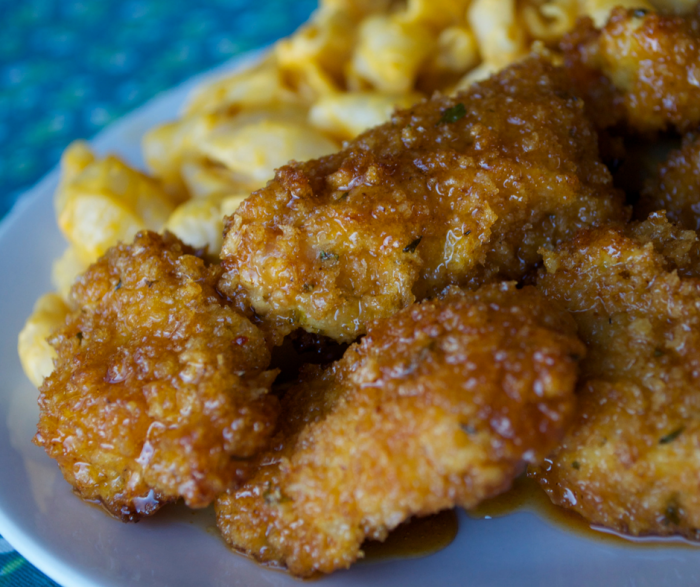 This sticky buffalo chicken tenders recipe is going to become a favorite for your family! We made these tonight. They are AMAZING! It depends on how you cut the chicken. It could be one tender or 4 depending on how you cut them. 1/4th of the recipe is a serving. Making these for our Super Bowl Party! Thanks! Made this tonight– only changes I made was using chicken tenders from the local meat market (so they were already thinned!) and I used Frank’s buffalo sauce. DELICIOUS! Will definitely make again. These were amazing! Just came across your site for the first time and had to try these. I will be making these again and again!